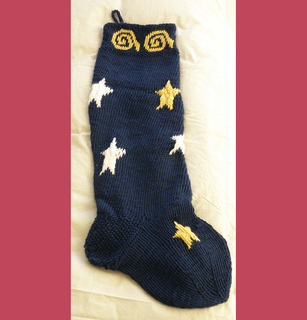 Beautiful stocking with stars on a night sky. Length from top to heel: 14 ins [35.5 cm]. 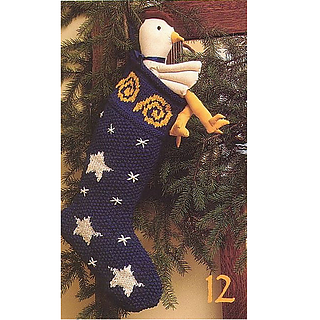 Foot length: 10 ins [25.5 cm]. Colorwork charts are included in pdf download (April 2010).